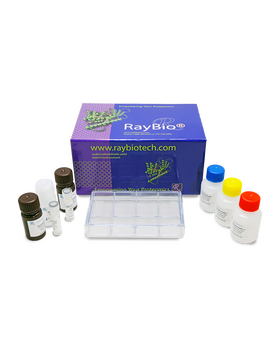 RayBio® C-Series Mouse Growth Factor Antibody Array 3 Kit. Detects 30 Mouse Growth Factors. Suitable for all liquid sample types. A chemiluminescent blot documentation system (such as UVP's ChemiDoc-It® or EpiChem II Benchtop Darkroom or GE's ImageQuant™ LAS 4000 or Amersham Imagers 600 and 680), X-ray Film and a suitable film processor, or another chemiluminescent detection system. For best results, store the entire kit frozen at -20°C upon arrival. Stored frozen, the kit will be stable for at least 6 months which is the duration of the product warranty period. Once thawed, store array membranes and 1X Blocking Buffer at -20°C and all other reagents undiluted at 4°C for no more than 3 months. 70% off the data analysis tool when you purchase the array and tool together! Note: If you are not placing this order online, make sure to mention this bundle discount to our orders department (orders@raybiotech.com). 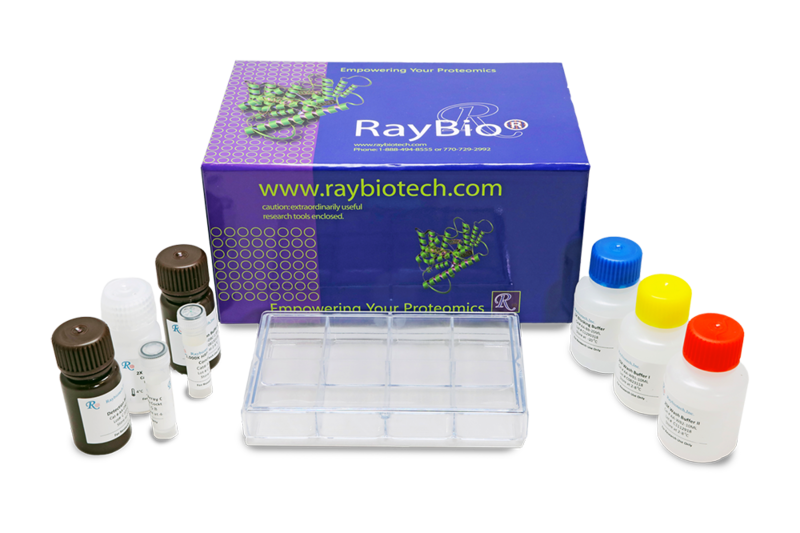 RayBiotech also provides a GLP-compliant CRO testing service for this kit. Fill out the form linked below and get your quote today!